Have you ever checked into the Blue Star Hotel? That’s what folks would say when someone was arrested and brought to the police station. 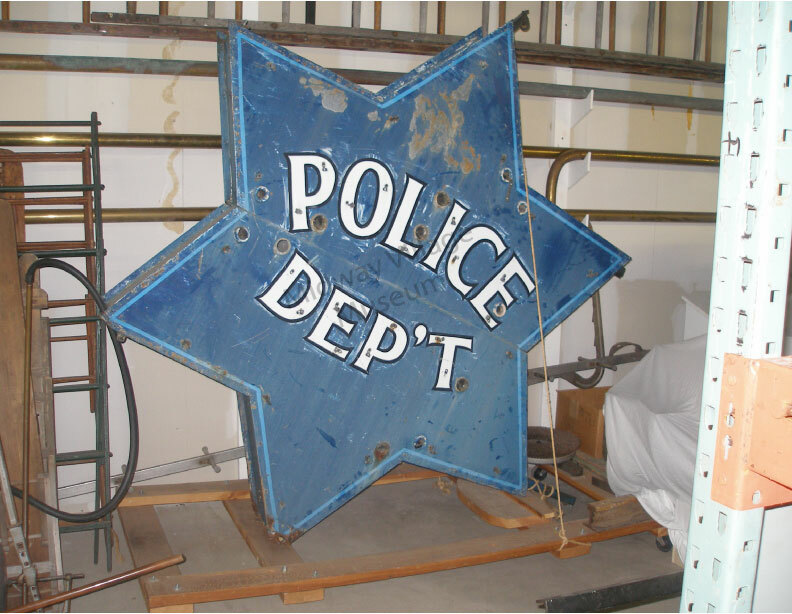 This star-shaped sign hung over the door to the police station that was located at the northeast corner of Walnut and 1st Streets. It has neon tubes that would glow at night, waiting to greet its guests. The star was removed by 1970 when the building was converted into condominiums.